Master Violin Maker Charles Rufino has delighted audiences for years with his witty and enlightening illustrated lecture, The Art and Lore of the Violin, a journey through time and cultural history, illuminating the early history of the violin and how its development interacted with social and cultural forces. Many rare, beautiful and hard-to-find images illustrate the development of the King of Instruments and provide iconographic evidence of its growth. 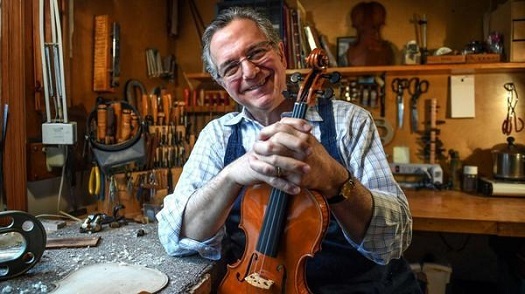 Mr. Rufino brings his lifelong study and passion for the violin, music, and art to his presentation, which is sure to delight audiences of all ages. This presentation is free of charge and will be open to the public, no registration required. For more details, please visit the South Huntington Public Library web page at: www.shpl.org. Next article String Workshop & Sales Event at the LIVS!